With a growing trend for self-contained single-room patient bed spaces in hospitals and care facilities; en-suite bathrooms are now the norm. But, with sick and often-frail people using these spaces, safety is key to design. 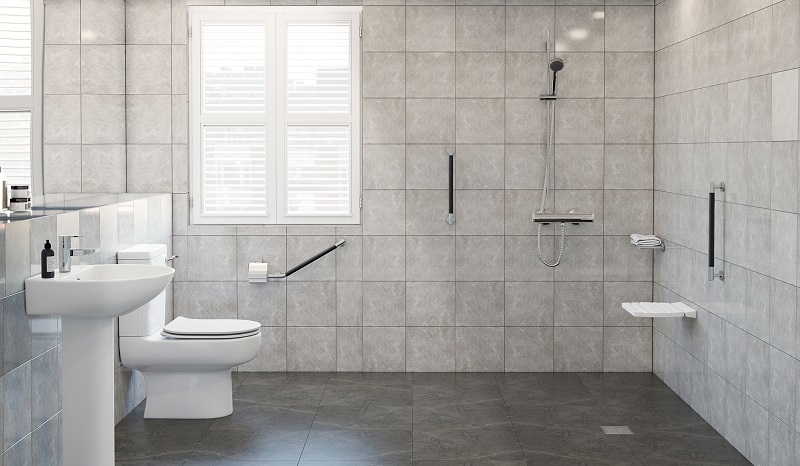 In recent years wetrooms have become the go-to option as they are the most-practical solution for people with restricted mobility and make the most of smaller spaces. But, when designing a wetroom; there are several considerations. First and foremost is hygiene and, in particular, infection prevention and control. Peter Eckhardt, chief executive of Gainsborough Specialist Bathrooms, explains: “In addition to reducing patient risk and supporting moving and handling best practice; infection control is a key deliverable so that patient and carer wellness is protected. Easy-clean, antibacterial surfaces are vital in this type of environment, with flooring also meeting slip-resistance standards. 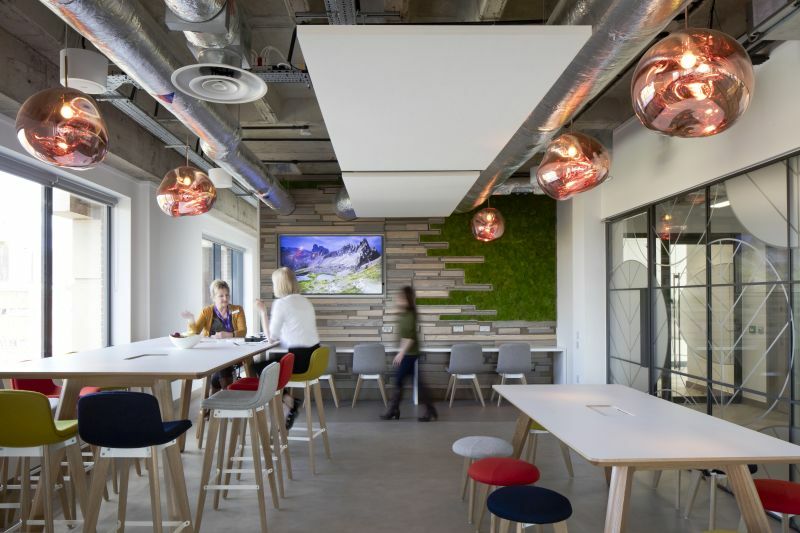 Brands such as Altro, Gerflor, and Forbo Flooring Systems provide durable, slip-resistant surfaces that allow thorough cleaning right to the edge of the room. “Materials that are HACCP approved or Food-Safe PVCu Polymer provide robust surfaces that operate effectively, even at 60OC,” said Eckhardt. From floors to walls, and the quality of wall surfaces is equally important. “Walls can be clad with paint, tiles or boarding. However, there are several factors to consider in terms of appropriate materials,” said Eckhardt. “The main considerations tend to be visual impression and cleaning. 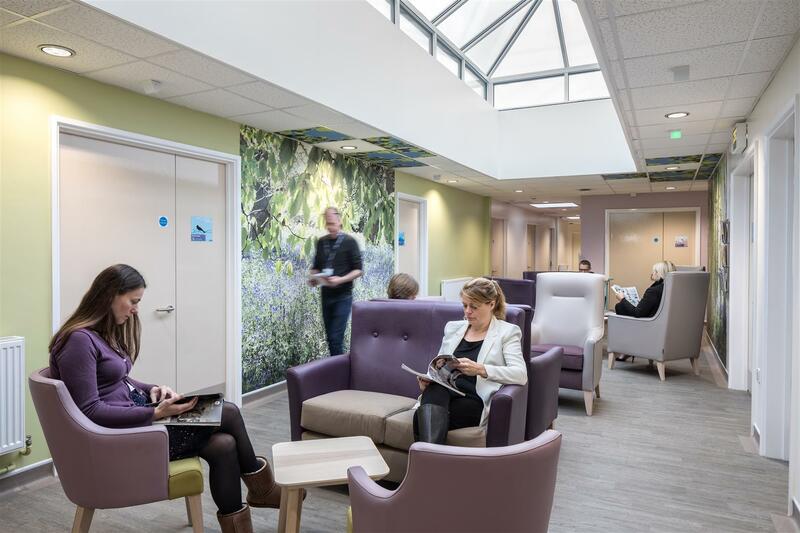 “By carefully selecting wall colours and finishes, service users can benefit from a more-welcoming experience, particularly if they have conditions such as dementia. Light Reflection Values (LRV) should be considered for dementia environments, with at least a 30LRV difference between walls and floors and walls and doors. Reflection can also be disorientating for some service users, especially if they are visually impaired; and darker colours can be perceived as threatening – hence matt surfaces, neutral hues, and minimal patterns are recommended in wetrooms. 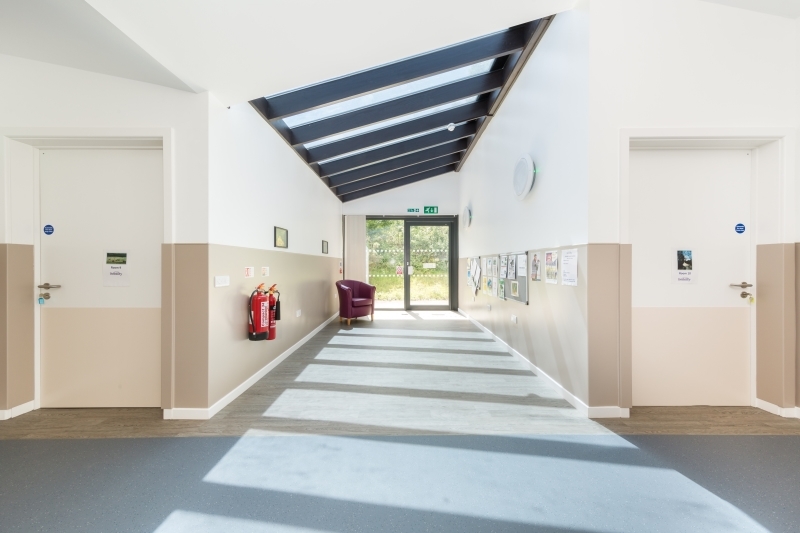 Colour coding of door frames can promote orientation and increased use of toilet facilities; and in terms of flooring, there should be minimal tonal change - typically only a difference of 8-10 LRV - between the wetroom and bed space so that patients can cross thresholds confidently. High-quality, moisture-resistant eggshell emulsion and tiles with high mould-resistant grout and adhesive should also be specified to increase the hygiene efficiency of a wetroom. But, in recent years, traditional tiles are being replaced by modern ‘advanced wall boarding’. Examples include Altro Whiterock wall covering with welded seams and Gainsborough’s BioClad antimicrobial PVC Wall Cladding, which contains BioCote technology, delivering 99.9% protection against harmful microbes, bacteria, mould and viruses. This silver-ion technology is incorporated during manufacture so cannot be wiped or worn away and is clinically proven to be more effective than liquid disinfectants. And it’s not just the building surfaces that can help with infection prevention and the overall safety of patients. Sanitaryware can also play a major role. Gainsborough is a pioneer of power-assisted baths. These height-adjustable products with transfer seats ensure safe and controlled movement of bathers in and out of the bath, negating the need for manual lifting and reducing the risk of falls. Extra stimulus can be enhanced with optional features such as hydrotherapy, chromotherapy and Bluetooth sound. 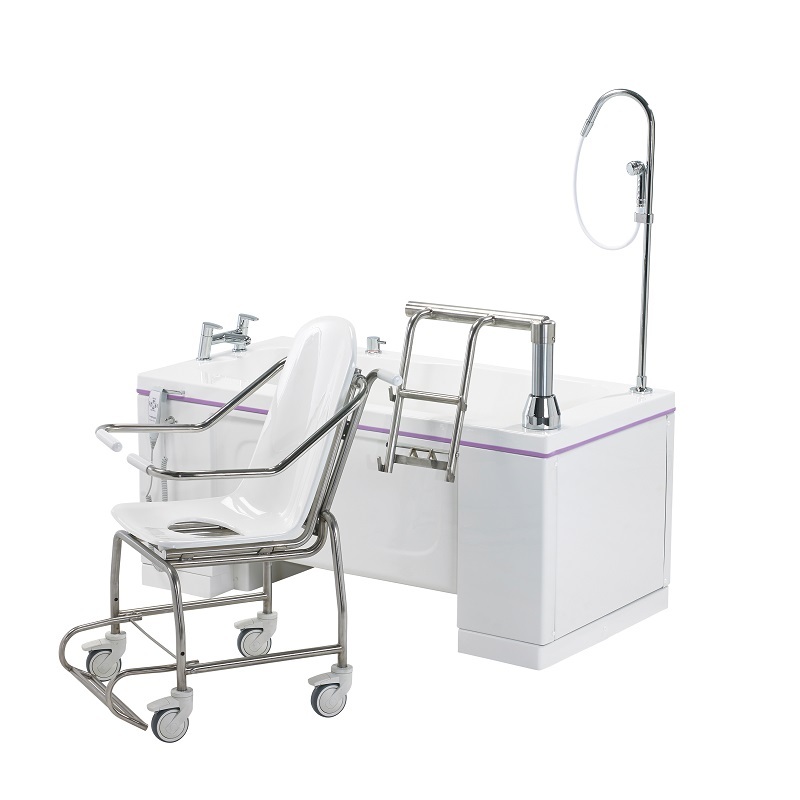 As well as enhancing the bathing experience, and enabling patients otherwise unable to bath to maintain their dignity; Gainsborough’s latest Gentona bath represents a step-change in care efficiency. This adaptable hi-lo bath has multiple safety innovations and is proven to reduce water and energy usage by 25%, another major consideration for hospital and care home specifiers. Where space is limited, or where patients are unable to bathe, adapted showers are the turn-to solution. Eckhardt advises that each project is fully assessed to decide on the best products, both for patients and carers. “Modern products include low-level anti-slip trays with antimicrobial protection, ergonomic shower seats, and grab rails and handles”, said Eckhardt. “Shower seats are available in a range of designs dependent on the level of support needed. They can be fixed, adjustable or folding to save space. Safety shower screens can be supplied with either 8mm toughened glass or PET Shatterproof Polymer. In addition to fixed panels, specialists can also offer uni-, bi- or corner-folding full or half-height doors so wheelchair, transit chair and hoist access is uncompromised. “Clear turning circles with zero-trip hazards and a ramp over tray thresholds may need to be provided so seamless movement and greater patient engagement is facilitated,” said Eckhardt. When choosing shower units, TMV temperature-controlled mixer or electric technologies protect against scalding and cool bar technology can be incorporated with exposed shower components. This protection is enhanced by concealed pipework so that service users, who are prone to grabbing hot fixtures without consideration, will not be injured. Showers can also be fitted with longer hoses so effective personal care can be provided whether service users are sitting or standing. And smooth walled hoses reduce the risk of skin abrasion and facilitate easier disinfection. “Many older residents and patients, or individuals with complex needs, can find water from overhead rain or rose heads distressing and disorientating,” said Eckhardt. Moving from washing to toileting, and specifying the most-appropriate solution is a critical decision in a healthcare bathroom. “There are many designs and wall mountings. However, simplicity of use is the main priority,” said Eckhardt. “Products are available that are higher than standard toilets, so sit-to-stand transfers are easier. However, compatibility with commode chairs needs to be considered. Toilets can be either 'close coupled', ‘wall hung’, 'back-to-wall pan' or specialist washing bidets. “Maintenance of cisterns is always a consideration which is why we tend to recommend back-to-wall pans – combining straightforward access for repairs and the hygiene benefits of concealed pipework,” said Eckhardt. The flushing mechanism is another element to assess when specifying toilets. Dementia patients, for example, can be confused by push-button or flush-plate operation as traditional levers are more recognisable to them. If a wider paddle-flush lever is selected, this provides the advantage of more familiarity for users and carers can operate with an arm or elbow – further reducing the risk of hand contamination. Similar to toilets, basins with rounded corners increase safety for bathers and carers. Maximum access and flexibility can be provided through a variety of designs including semi-pedestal, height/lateral adjustable, swing-away, wide ‘flared’ with grab slots, counter-sunk or recessed. “The suitability of each choice should be attributed to the care tasks required within the intended environment,” said Eckhardt. “If mounted next to a toilet, swing-away basins provide the opportunity for a user to wash hands while sitting on the toilet – therefore reducing a transfer process. “And, when not in use, the basin can be swung away to save space, which is of particular use in compact bathrooms. The choice of pillar or Monobloc taps needs to reflect intended usage, along with plug options. For example, pull-chain plugs are highly reliable and do not require a user to place their hands in water, whereas a clicker waste is more aesthetic, yet may not be as hygienic. Temperature-controlled water is imperative to ensure protection against injury, especially as care facilities have to store water at a temperature over 60OC to avoid Legionella bacteria. For patients or residents with mobility problems, wetrooms will often have an integral hoist. Eckhardt said: “Smooth, uncomplicated and controlled movement promotes reassurance and confidence for vulnerable individuals – resulting in a pleasant and relaxing bathing experience. But the configuration and space planning of a fully-accessible bathroom need to be carefully considered if the use of hoists is intended. “Mobile hoists require far more floor space to provide movement of service users in slings. However, they are flexible and not restricted to a single location,” said Eckhardt. “Overhead ceiling tracks provide a fixture that is always available and offer greater usability. Nevertheless, structural enablement works and installation are required which results in added cost and implementation time. It’s not just the things you can see that need to be carefully considered. Highly-effective ventilation and drainage are commonly overlooked in the implementation of specialist bathrooms and wetrooms for the health and care sector. “A key part of wetroom management and durability is ensuring a good replacement air strategy to reduce high levels of humidity,” said Eckhardt. “Without robust systems, there will be a build-up of harmful microbes which can result in infection, respiratory issues and cross contamination. “Reducing the risk of illness outbreaks is a significant challenge for care homes and hospitals, especially during winter months when viruses are more active. The combination of warm air and high humidity makes it imperative to provide adequate extraction, not just ventilation. “Condensation forms when the temperature of a surface is below the dew point of surrounding air,” said Eckhardt. “This leads to streaming windows and walls, resulting in damp and slippery surfaces, plus subsequent mould growth. “Decentralised mechanical extract ventilation (dMEV) fans are ideal as they provide a preventative form of ventilation – continuously extracting humid, moist air, as opposed to traditional intermittent ventilation systems. “We believes air flow should be rated to at least 8 litres/sec for a continual system and 15 litres/sec for a manual unit – this equates to air being replaced six times per hour. Eckhardt added: “Maximising the safety of wet bathroom and wetroom floors can be strengthened through better drainage. Moving onto heating and lighting and, somewhat obviously, hot components within a bathroom pose a risk to vulnerable users. Therefore, choice of radiator and pipework location needs to be assessed so that the risk of burns to exposed skin is eliminated. Low Surface Temperature (LST) radiators are a popular option, along with ceiling-mounted radiant panels or underfloor heating. Concealed pipework also simplifies deep cleaning and reduces the build-up of dirt and bacteria. 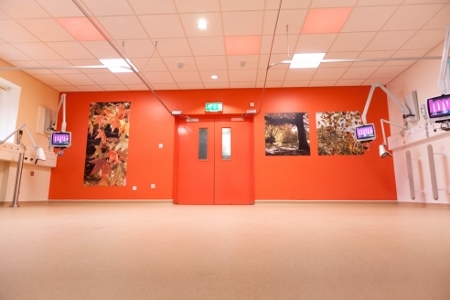 Carefully-considered lighting is particularly important in environments used by dementia patients. “Lights activated by motion sensors reduce utility costs and provide the advantage of autonomous use,” said Eckhardt. He concludes: “To ensure the most-effective specialist bathroom or wetroom is delivered, choosing a supplier that provides a complete service is the answer. “Only by combining detailed surveys, robust planning and design, quality product provision, precision installation, and ongoing servicing; can care provision be high quality and consistent. 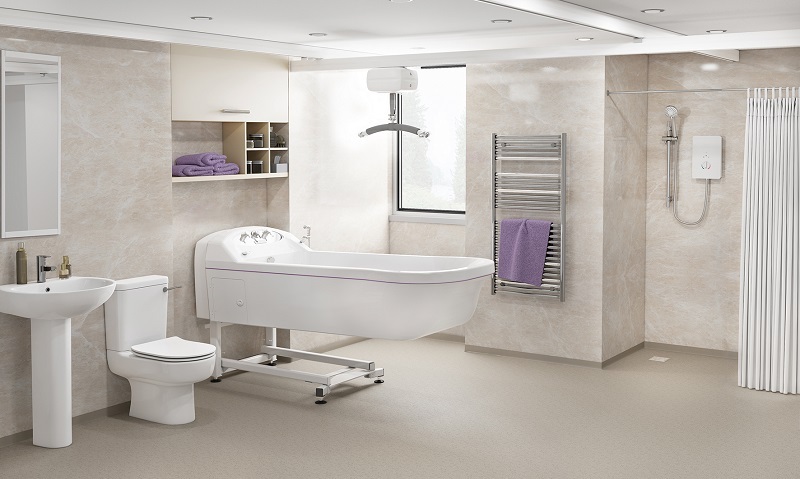 “There are many variable elements within a bathroom that can affect safety, comfort and dignity for service users along with practical ergonomics for carers.